Dream lineup at Saratoga painted for Anna House. Robert painting Big Brown for the Laffit Pincay’s Legions event to benefit the Permanently Disabled Jockeys Fund in Louisville before the Kentucky Derby. Graduates of Anna House/Belmont Child Care present Robert’s print of Barbaro to Edgar Prado. Eight Belles painted for the Thoroughbred Charities of America. 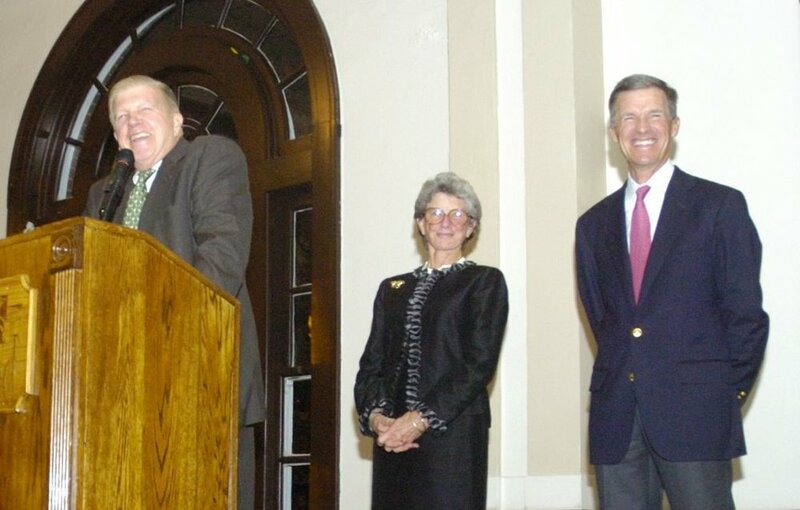 Roy and Gretchen Jackson at NTWA dinner. 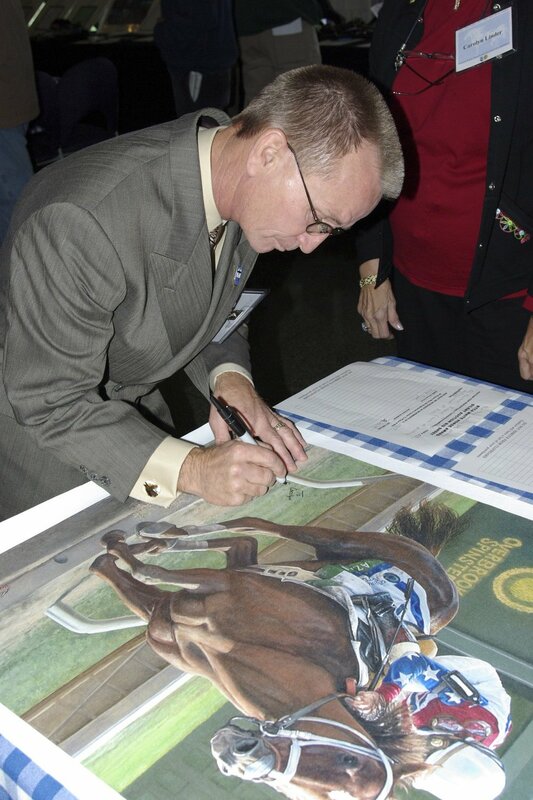 Pat Day signing Robert’s print of Azeri at the White Horse Award at the Breeders’ Cup in Monmouth. Afleet Alex, Barbaro, and live by Robert at the 2008 Alex’s Lemonade Stand fundraiser in Philadelphia. Robert’s painting of Street Sense being fundraiser for the Racetrack Chaplaincy. Robert was selected by the Race Track Chaplaincy in 2015 at the White Horse Awards as their Community Service recipient for his continual contributions to organizations throughout the racing industry over the past two decades. "These organizations do such more for the horses and so many people, I am honored to be able to contribute to their causes through my artwork." I have visited many of these organizations and witnessed first-hand the great work of the people doing the hands on work of these charities. While I am constantly asked to donate to a seemingly endless list of causes; I have been able to concentrate my support for several organizations involved in a wide array of activities both inside and out of the thoroughbred racing industry. The reward for answering a solicitation request is the "exposure" the artist receives by having their artwork at these events. The artist GIVES because he or she WANTS to GIVE to a select cause that is important to that artist. In my experience, as the head of several art organizations and as the host of a public television show on the arts, I’ve seen more artists who could benefit from a fundraiser than any other "profession". With all that being said, I can proudly say that it is my pleasure and my privilege to be able to contribute to the people and horses in this great thoroughbred industry and look forward to continuing to do so as long as positive work can be accomplished for the common good. In addition to live painting at events for charities, during 2017 Robert Clark is donating 10% of revenues from sales / commissions to the Grayson-Jockey Club Research Foundation. Additionally, Robert's prints are used as auction items by several additional organizations and add to the total dollars raised for charity.